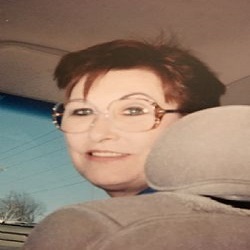 Bettye Carol Rodriguez, age 77 of Mena, Arkansas, died, Tuesday, November 20, 2018 at Rich Mountain Nursing and Rehab. She was born on Monday, April 4, 1941 to Hershal Everett and Edna Josephine Stone Rusher in Butterfield, Arkansas. She was preceded in death by her parents and one brother, David Rusher. Bettye is survived by her loving companion of 32 years, Butch Davis; one daughter, Tracy Richards of Fayetteville; four sisters, Catherine Crabtree of Thompson Falls, Montana, Sharon Nix of Malvern, Judith Mutter of Hot Springs, and Cheryl Poole of Hot Springs; one granddaughter, Summer Richards of Belton, Missouri; several nieces and nephews and a host of other relatives and friends. A funeral service will be held on Saturday, November 24, 2018 at 11:00 A.M. at the Bowser Family Funeral Home Chapel in Mena. Interment is to follow at 2:00 P.M. at the Cooper Cemetery in Malvern, Arkansas. Visitation will be Saturday morning before the service starting at 10:00 A.M. Arrangements are entrusted to Bowser Family Funeral Home in Mena, Arkansas. In lieu of flowers, the family requests that donations in her memory be made to "The Tree of Life", an organization funding healthcare career scholarships to local students. Donations can be made to the Mena Regional Support Foundation, P.O. Box 1526, Mena, AR 71953. Pallbearers will be Ric Poole, Bobby Scott, Robert Austin, Blake Gray, Ian Poole, and Skyler Hix.